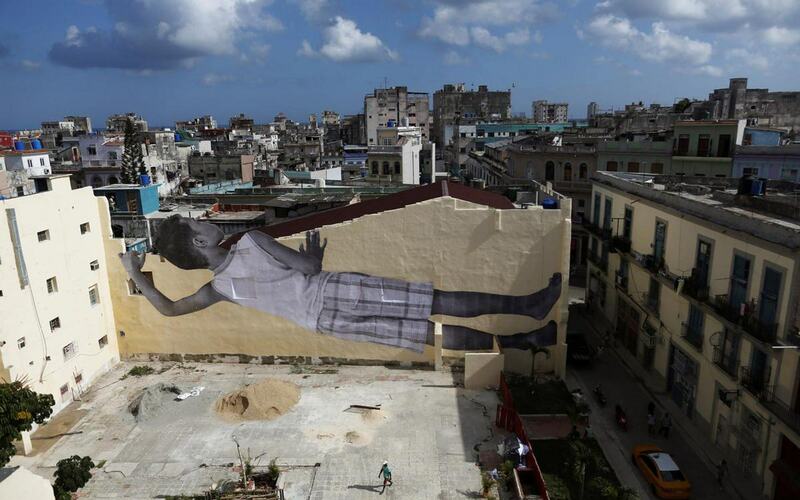 Artist JR's photograph of a boy seen on a wall during the 13th Havana Biennial. 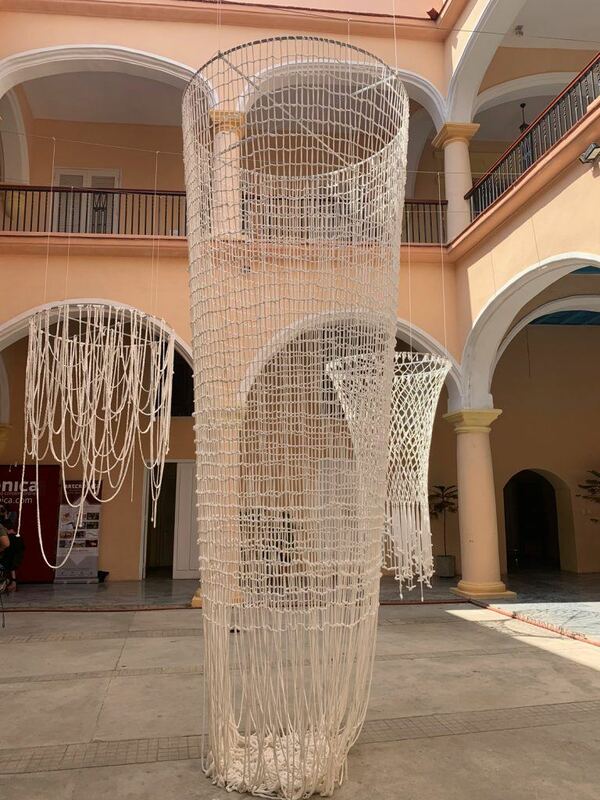 Salvadoran performance artist and activist Alexia Miranda spent several weeks in Havana, weaving large, looming nets out of gauze and inviting seamstresses, artists, and even tourists to join her throughout the process. The socially engaged installation, titled Tejido Colectivo and shown at the Centro Contemporaneo Wilfredo Lam, was just one of the works produced specifically for the 13th Havana Biennial, which kicked off this weekend with some 300 contemporary artists hailing from Latin America, Africa, and the Caribbean, taking over the city’s museums, galleries, and open-air spaces. 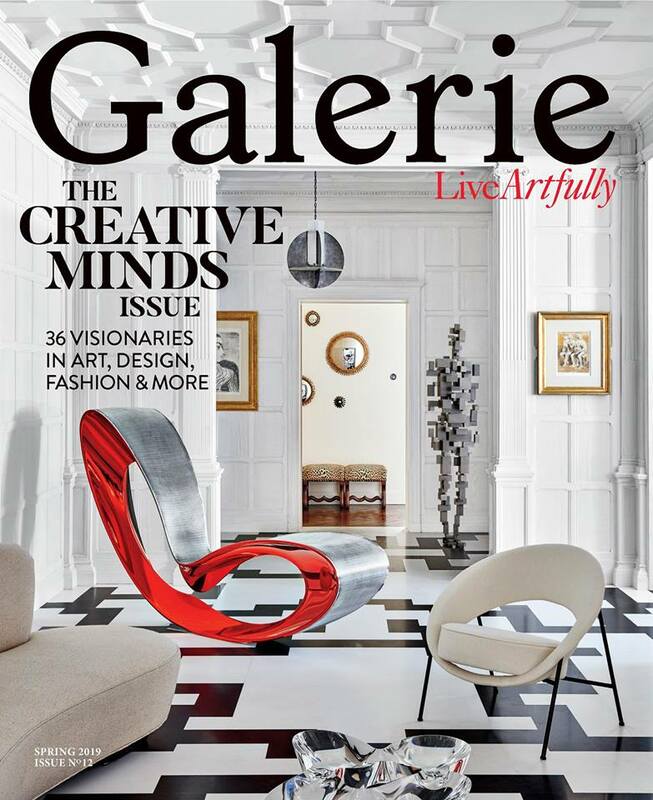 “It moved me to tears to see so many people from different walks of life feel drawn to the work and want to join us,” Miranda tells Galerie. 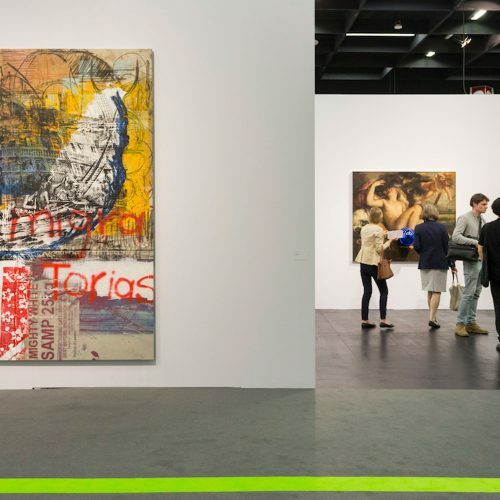 Created in 1984 by the government to promote artists from the developing world, and in particular those from Cuba, the biennial returns for the first time in four years after a postponed 2017 edition due to Hurricane Irma. 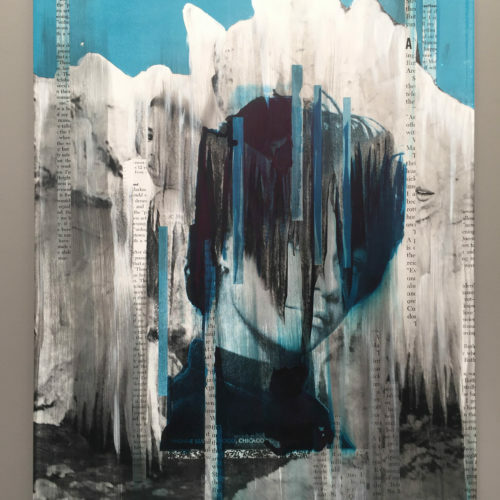 Miranda’s work responds to the biennial’s theme, “Constructing the Possible,” which ultimately asks artists to question how their work might catalyze some future possibility, one that for many remains starkly out of reach. Miranda, who lives and works in El Salvador, has long centered her practice around the concept of community, pondering whether the act of creating a cohesive network of people bound by the same cause or purpose truly allows them to transcend debilitating violence, poverty, and strife. 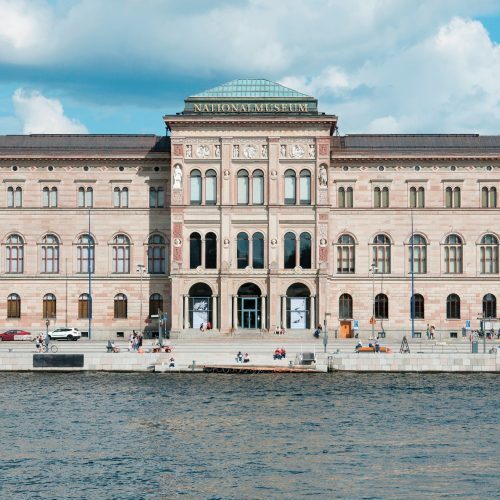 The hundreds of participating artists, who are working in mostly still-developing countries, suggest that building community while retaining a sense of place remains critical in an increasingly globalized and polarized world. 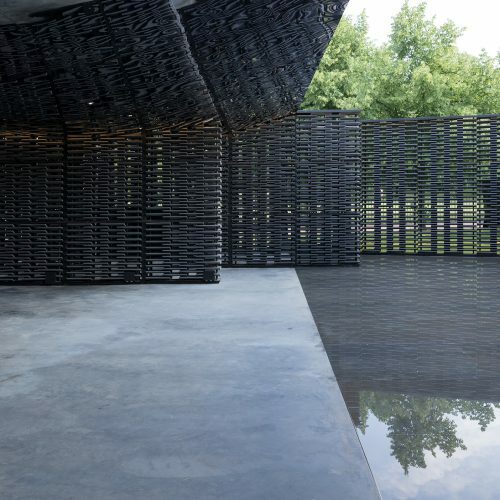 Through their performance, installation, and digital works, they invite viewers into the conversation, relying on their participation to illustrate their unique vision for the future. At the Casa Simon Bolivar, a sewing factory normally out of public view, Mexican artist Tania Candiani opens the windows so passersby can peer onto the factory floor. There, dozens of middle-aged women are diligently at work on their sewing machines, while a young woman reads to them from a text exploring a particularly female topic. Del Sonido de la Labor: La lectora mimics a time-honored practice occurring within Cuban cigar factories, never before practiced in factories with mostly female workers. 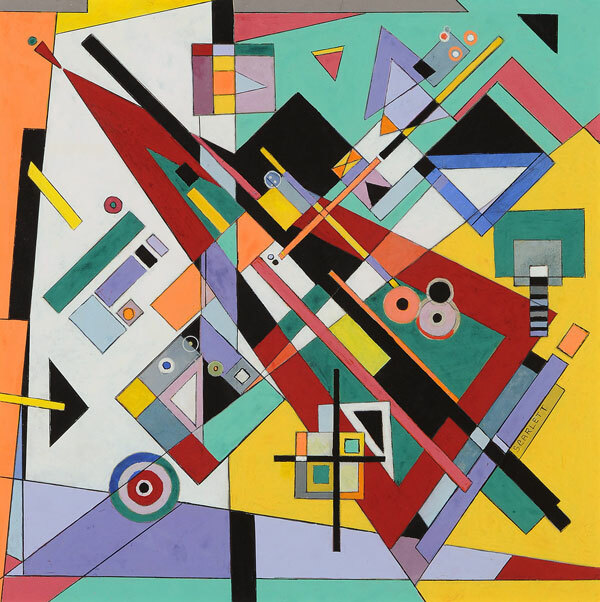 “The work thinks about how language might change their way of thinking,” says Candiani. 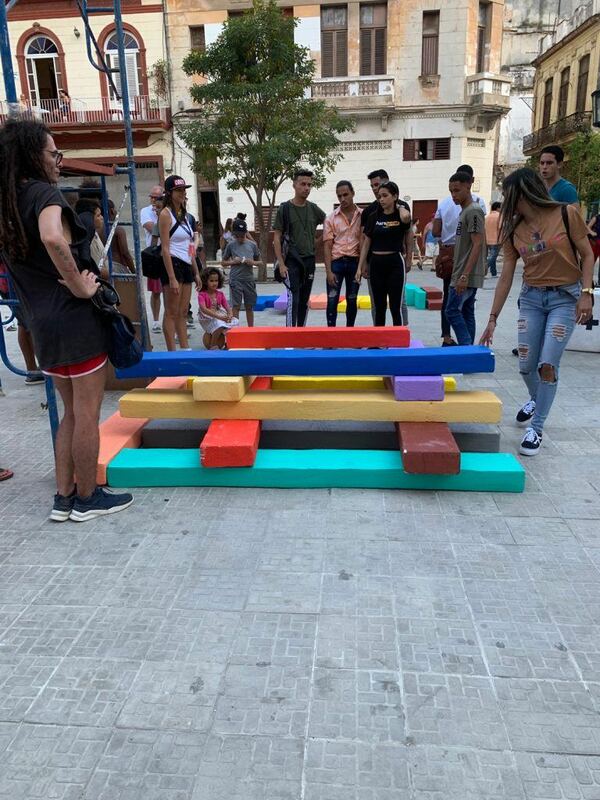 At the Plaza del Cristo, El Puente_lab, a collective comprised of Colombian artists Alejandro Vasquez and Mariangela Aponte, visitors are invited to play an interactive game of Jenga. 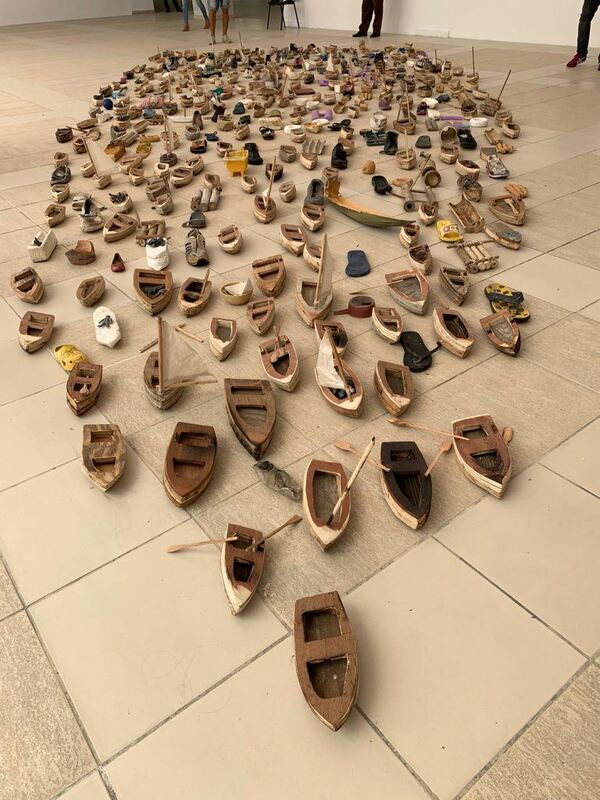 Each game piece is color coded to represent a necessary element that secures a social and human structure, ideas the artists drew by visiting eight cities across Cuba and asking residents where they saw themselves in ten years and what they would need to accomplish that. Honesty, a roof over their head, family, love, money, hope, and liberty emerged as essential elements. The players have only one objective: Build the tallest and most secure structure they can with these themes. 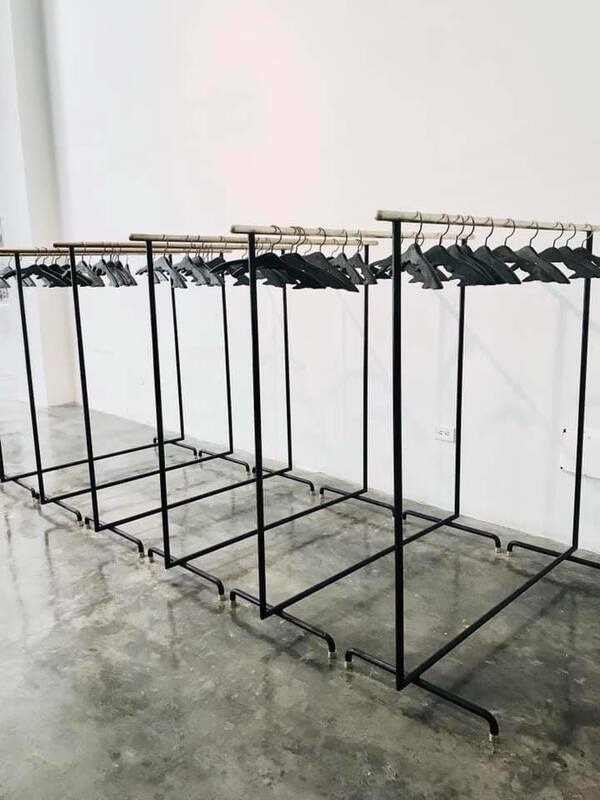 Across the city, works by both emerging and established Cuban artists were under the spotlight with 17 individual projects and 68 by collective projects. 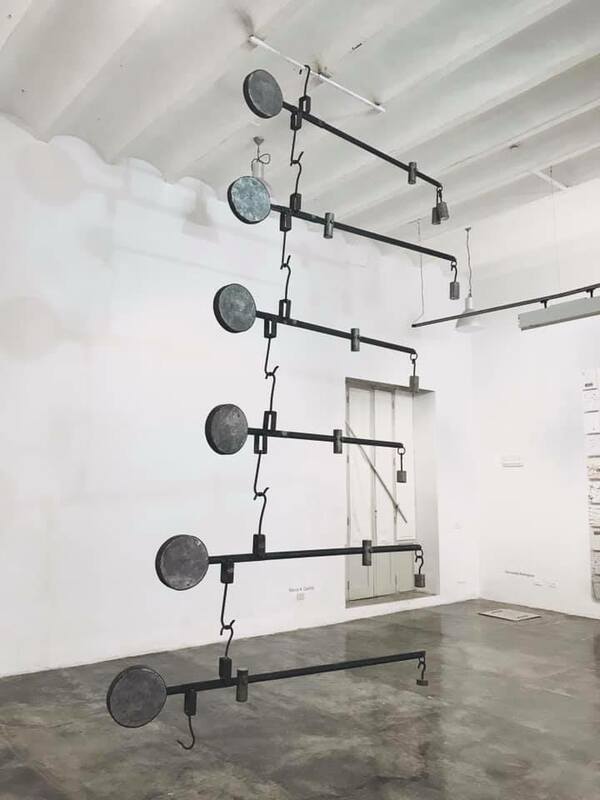 A group show of conceptual works by Yoan Capote, Marco Castillo, and Tonel is showcased at old Havana’s La Factoria, the gallery launched by Spanish art aficionado Concha Fontenla in 2009. In the Museo de Bellas Artes, Carlos Garaicoa inaugurates Partitura, a street-symphonic work where music stands containing screens are positioned in the formation of a bandstand and reveal videos of solo musicians playing different instruments in locations across Madrid and Bilbao. 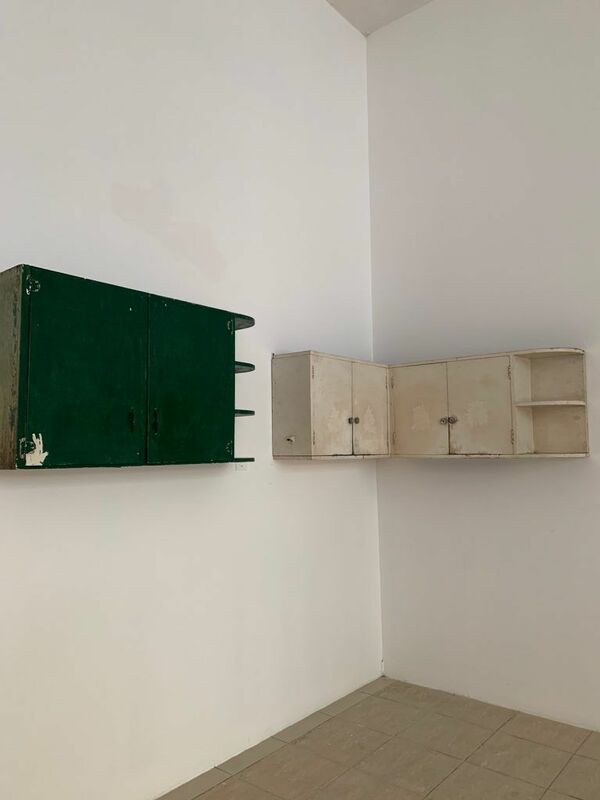 In an adjacent gallery, Los Carpinteros, a Cuban artist collective founded in Havana in 1992 by Marco Antonio Castillo Valdes, Dagoberto Rodriguez Sanchez, and Alexandre Arrechea, exhibit Alacenas, a series of cabinets hung and named after major hurricanes of the past ten-odd years. Despite increasing global strife and Cuba’s own struggle to maintain economic equilibrium, the works showcased in the 13th Havana Biennial strike a hopeful tenor. Whatever the future may bring, these artists suggest that human connection remains—above all else—the glue that will bind it together.